What was once a vision of a distant future read and seen only in sci-fi stories, is about to become a reality in Dubai this year with the introduction of self-flying taxis. The country announced at the World Government Summit that it will begin ferrying around passengers in self-flying autonomous drones (namely, the Ehang 184 drone)—the first of its kind—this summer. The head of Dubai’s transportation agency, Mattar al-Tayer, announced that these self-flying taxis will begin taking passengers to their destinations from July this year. ‘This is not only a model, we have actually experimented with this vehicle flying in Dubai’s skies,’ he said. In order for someone to use the self-flying taxi, they must log in to a special app and type in their destination. The drone will then map the route before transporting the passenger to their destination. Since there is no passenger over-ride function within the drone, anyone can travel in these self-flying taxis without a pilot’s licence. This also means, however, that the user will be unable to take control of the vehicle. 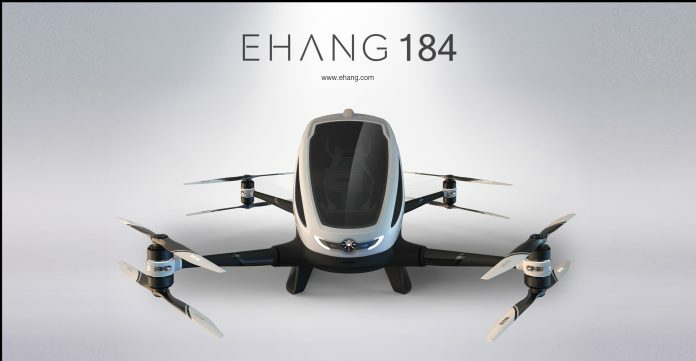 The Ehang 184 drone is run on electricity, which has huge implications in the innovations of environmentally-friendly technology. The drone can travel for up to 31 miles at speeds of 63 miles an hour with the ability to hold a weight of up to 100kg at any one time. The drone can’t actually fly directly from one place to another, but needs to hop from landing spots to get to the final destination. 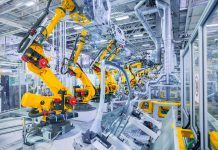 The design of the drone allows for its propellers to fold inward as it lands, meaning it can fit snugly into a single car parking space. As for safety, the autonomous flying taxi has an ‘Ehangen fail-safe’ system which will prompt the vehicle to land safely to the nearest place should there be any malfunctions or disconnections within its infrastructure. Drones are already being used around the globe but on a much smaller scale. Retail giants such as Amazon use them to deliver packages to drones being used to transport medical supplies. But the implementation of these self-flying taxis act as a pivotal turning point in technology and its impact on the global economy.